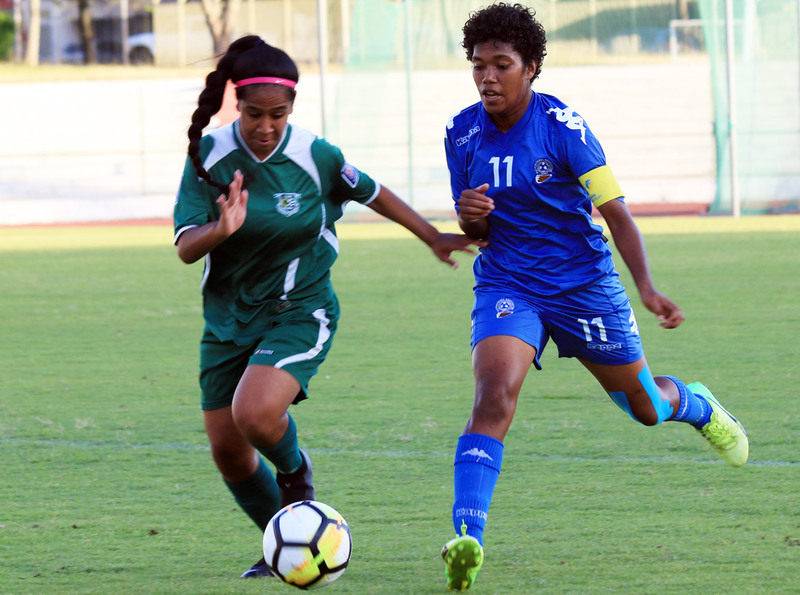 The Fijian women’s team captain Jotivini Tabua believes she had been given a huge task to lead the team during the OFC Women’s Nations Cup in Noumea, New Caledonia. “It is a big challenge for me to lead this bunch of girls, “said Tabua. Tabua said she was proud to fly her countries flag at the qualifiers. “There were so many senior players in the squad and leading the team ahead of them is challenging for me,” she said. The Labasa native said she had received a lot of support from the teammates and officials. “I have been given a lot of support from my teammates which takes a load off from my shoulders and I am playing the role well. “I have a lot responsibility and with the support of everyone it makes me easier to handle all obstacles,” said Tabua. The 22-year-old said the first match against Cooks Island was tough. “We all have scarified for this tournament and we hope keep making everyone back home proud,” the Labasa rep said. Tabua had an objective in this tournament was that they qualify for the FIFA Women’s World Cup. She believes they have the strength to fulfil that dream. “We have a very dedicated and commitment players and I am sure we can upset our toughest opponent and fulfil our dreams to feature in the World Cup,” Tabua concluded.